I really, really love apps that let me remote access my phone. In the past, I've used apps that let me take screenshots remotely, access my SMS remotely, and do a few other simple tasks without ever having to touch my phone. 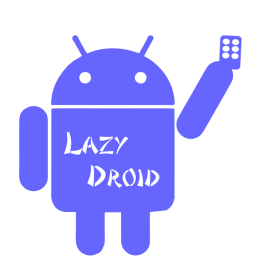 LazyDroid allows you to access your SMS, contacts, camera, clipboard, sensors, and file manager all from the comfort of a familiar interface without ever having to leave your browser. 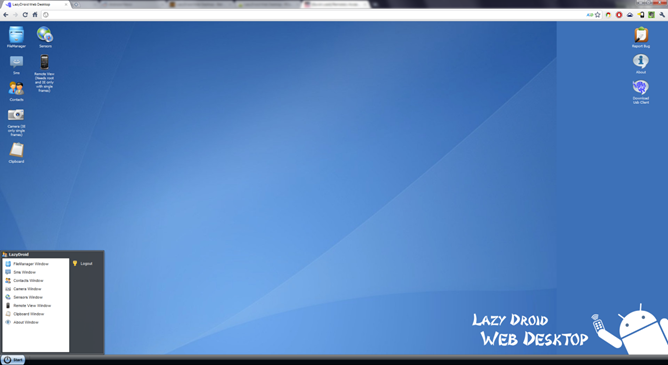 It also has a feature called "remote view" that can be used to grab screenshots in real time. Even though it's beta, don't sell it short - this thing works great. 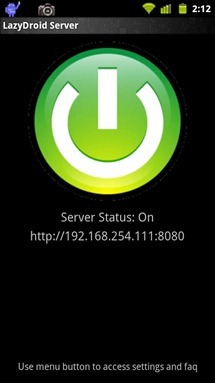 It's on par or better than every Android remote access app that I've ever used. As you can see, you can add also your own security by way of username and password, which could come in handy if you're accessing your phone on a public network. Like I said, this app is still beta, so it may not be perfect just yet. It's free in the Market (and worth every penny) but if you experience any issues, have a feature request, or just want to say "thanks," then head over the source thread on XDA and let the dev know what's up.